I found it, the perfect boyfriend blazer at an affordable price. You better believe I'm going to shout it from the rooftops because you probably need one ASAP. 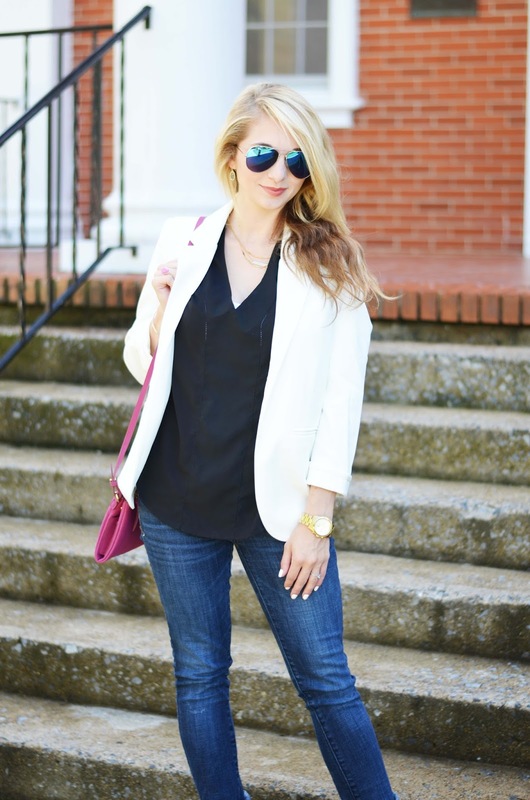 If you've been around this blog for any amount of time you know I have a serious addiction to blazers. 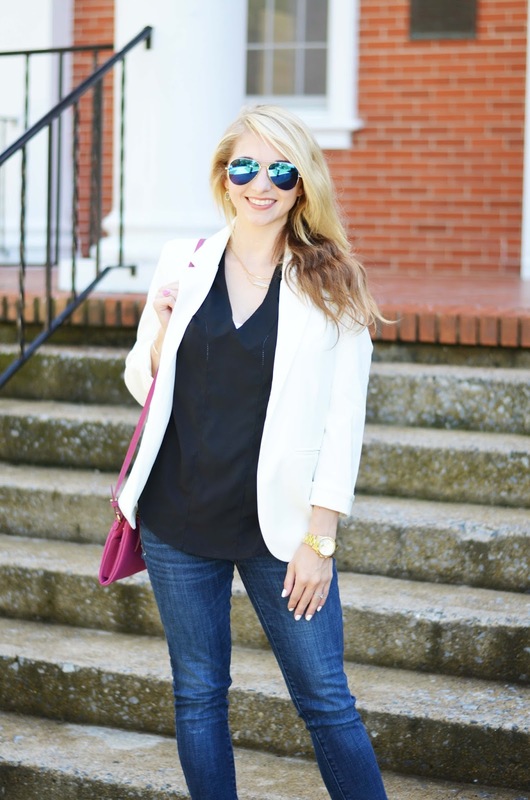 These 1 | 2 | 3 might be my favorite blazer looks. Looking back at those photos makes me miss my preggo belly! Time for another? Kidding! I've bought blazers from several different places and I've become picky. I want them fitted, but not to where I can't move my arms. That's the absolute worst when you go to lift your arms and hear stitches pop. Ugh! So far I've found that even though Forever21 blazers are cheap, they aren't worth it. The fabric does not hold up. The best blazer I've ever purchased is from Banana Republic. They are expensive, but if you are a business women or desire a well made, fitted blazer, BR is the place to drop your pennies. But now, now my friends, I have found an affordable option AND it's well made. It fits a little small so size up if you order. I am wearing a size medium when normally I am a small. I've already ordered this beautiful periwinkle blue. Hello gorgeous! #obsessed. PS. I totally wear these caged heels all the time, but they are the most comfortable, stylish and safe shoe to wear hauling a baby everywhere. 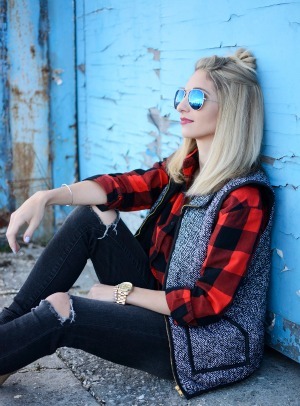 What's something you buy several colors of in your wardrobe? Do you have a specific wardrobe obsession? 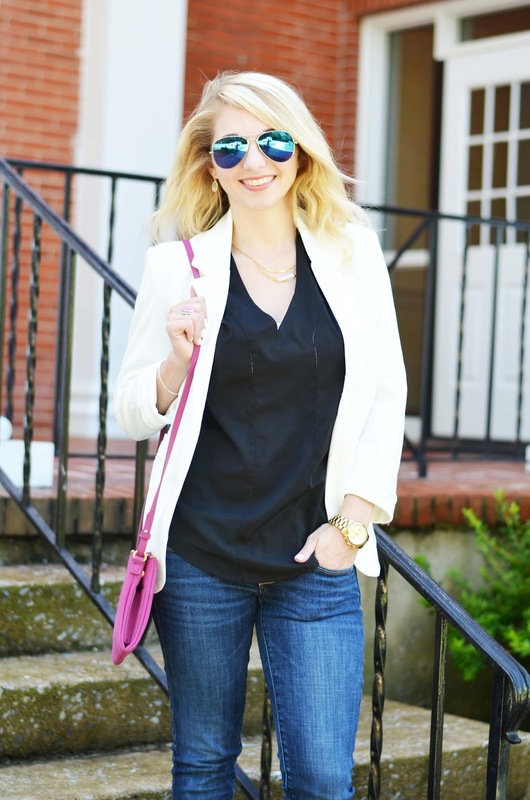 8 comments on "The Perfect, Affordable Blazer"
I love the blazer! And just this look in general! So cute! Love this look. It is amazing what a structured blazer can do for a wardrobe! 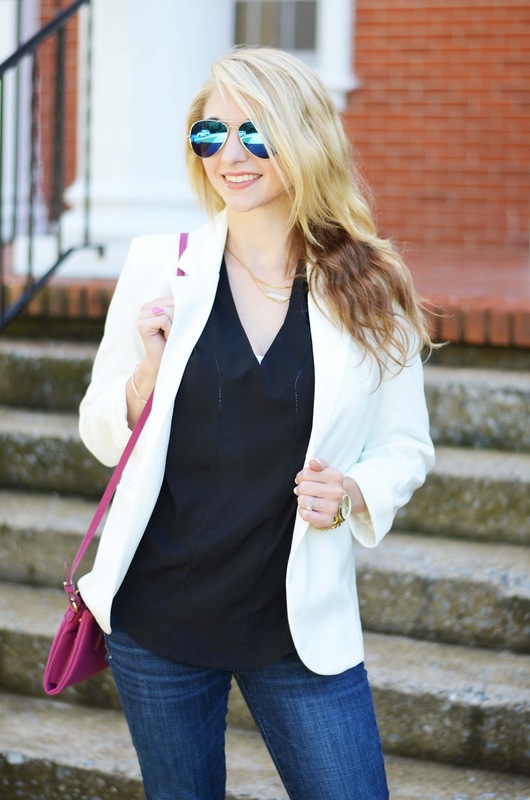 Blazers are so classy and versatile! I totally agree about Banana Republic. I have ONE suit and it's from there. :) Happy Friday! That outfit is so smart! Seriously. Those are the words that come to mind. You look amazing! Already pinned this to save for later - I'm all about blazers, so I'm not one to ever turn down an affordable, stylish option. :) You look great, lady! I need this blazer in my life! It's something I've been meaning to get for awhile, but just haven't found an affordable one that fits me well. I love that you got it in white! It looks bright and fresh and can go with just about anything. 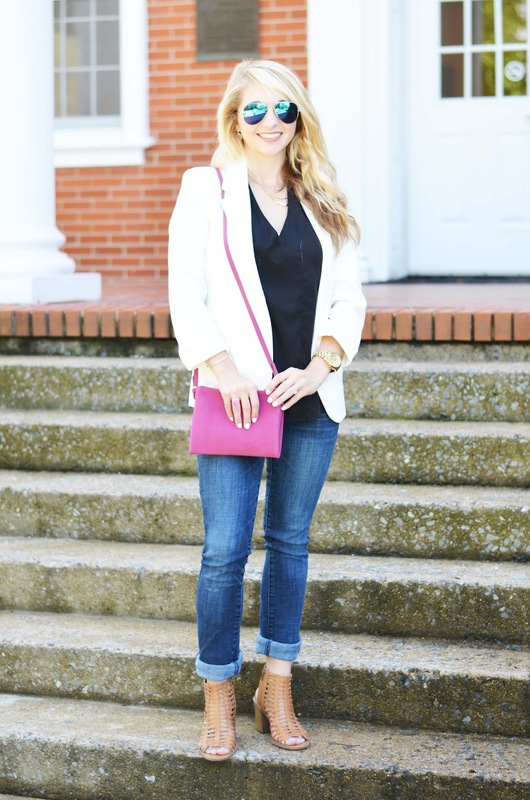 The pink purse is such a fun touch!